The Oakland A’s system is loaded with talent that is Big League ready this year and some upside plays in the low minors thanks to trades involving Trevor Cahill, Gio Gonzalez, and Andrew Bailey. Below are my top 16 prospects with 2012 opening day age, position, and comments on each player. Below the top 16 is a small list of additional notable names. Enjoy. Are the Athletics Done Dealing? That rotation is solid looking but there are still a lot of guys that are very close to being major league ready; Jarrod Parker, Tyson Ross, and Sonny Gray. Brett Anderson should also be back in the rotation by the middle of the season. Well with those guys knocking at the door, some space may need to be cleared in the rotation. The perfect opportunity for that: The Trade Deadline. Please welcome Harrison Crow as this week’s guest writer for MLBdirt. Harrison writes for SoDo Mojo, a Seattle Mariners blog a part of the Fan Sided Blogging Network. You can also find more of his work on his personal blog Far From Port. Make sure you follow Harrison on Twitter as well. 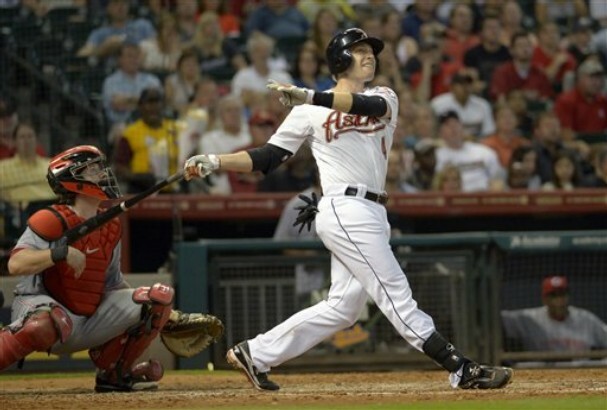 Here is his first guest article for the site previewing the AL Rookie of the Year. Going into a fresh season there is always young and exciting new talent that is right on the verge of taking that next giant step. They’ve dominated the minors and now they seem poised to make waves across the league. While there are usually only a handful of guys every year that make any type of significant impact right away only one of those that will capture the honor as “rookie-of-the-year” (RoY) award. 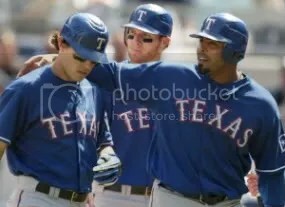 Even if your team might not yet have a said “up and comer” that is major league ready it’s exciting to keep up with them and appreciate what they accomplish over the course of the season. Looking just at last year we had some extremely exciting moments where youngsters crashed the scene. Most people have a wide perspective and they look all over the Major League Baseball. That’s for them but, for me I enjoy baseball played in the America League. That’s my focus and it’s the youngsters I look forward to seeing when my favorite team and the team of my youth, the Seattle Mariners, as bad as they are roll through town I look forward to seeing the young and budding stars. The American League produced youngsters Wade Davis, Carlos Santana, Neftali Feliz, Brian Matusz, Daniel Hudson and Austin Jackson all leaving their mark on 2010. Considered one of the top-3 prospects in all of baseball, Jeremy Hellickson of the Tampa Bay Rays. Armed with a fastball that lights up radars and a curve that will sink hearts. Hellickson, affectionately refereed to as “hell boy”, is the odds on favorite for the RoY but there are plenty of others that will contend and make him earn it. Including his own teammate. Leading us to the next name on the list. Desmond Jennings, was one of the reasons that the Rays let Carl Crawford walk (oh the money was kind of a big thing too). 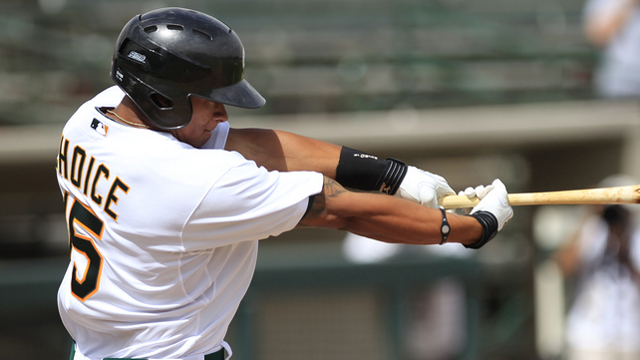 Rated #3 overall in the Rays organization by Baseball America, Jennings profiles as a potential all-star in center. The have Rays high hope that Jennings will able to take over as the lead-off man and replace at least a portion of the hole left behind by Carl Crawford. Something that does work against the youngster is the fact that no pure speedster as won the ROY since Vince Coleman (1985). Much like the Rays, the Seattle Mariners potentially boast two possible RoY candidates in right-hander Michael Pineda and Second basemen Dustin Ackley. The only real question is whether either will start the season with the club. Ackley, the former #2 overall pick in the 2009 draft (right behind Stephen Strasburg), will return to AAA Tacoma to get a little more seasoning prior to a mid-season call-up. But could very well show himself to be one of the leagues most elite hitters. The other Blue Jay sounded his coming last fall. When in his major league debut, J.P. Arencibia collected four hits, with two of them home runs, against the Tampa Bay Rays. Sure afterwards he went 1-30 but lets focus on the positives. Arencibia has huge power and if he can improve his talents behind the plate could be one of the premier sluggers in the game behind the plate. He has question marks swirling about his defensive make-up but if he can improve and stay behind the plate he has the potential to easily become one of the better ones in the league. The Royals fall into the it-takes-two category. Sporting Mike “Moose” Moustakas and Eric “I-dont-know-if-he-has-a-nick-name” Hosmer. Not to mention they have two in waiting that could possible debut at the end of the year in John Lamb and Mike Montgomery. It’s very possible that the Kansas City Royals currently have the farm system of the decade. Moose and Hosmer most likely won’t start off the season with the major league team, but like Dustin Ackley, could find themselves working their way into consideration for the RoY after a mid-season call-up. The next name on the list is a pretty familiar name Jesus Montero. One of the top tier, elite, up-and-coming hitters in all of baseball and a product of the New York Yankee farm system. Montero doesn’t just sport power, though he has gobs and gobs of it, he’s an extremely proficient hitter making him all the more dangerous. He continues to end up in possible trade talks but he’s still around and appears ready to start the season as Russell Martin‘s back-up. It’s very possible that Martin doesn’t ever return to the player he was and by the end of May Montero is the every day guy behind the plate. Some worry about is overall ability behind the dish. But, from the looks at spring training he could turn out to survive enough to have a few serviceable years back there. Chris Carter had a very painful fall last year going 0-33 during a 70 at bat audition as a member of the Oakland Athletics. Rated #2 overall prospect in the organization by Baseball America, just behind Grant Green, Carter is a beast of an hitter with exceptional power. He will be carried by his bat as the converted first basemen, now left fielder, will be at very best average in the field. While he has difficulty recognizing break balls he works a count and takes an absurd amount of walks. 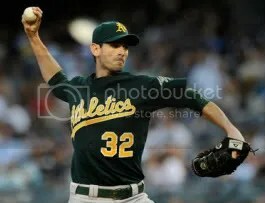 If he can get his strike outs under control Carter could be a serious problem for AL West pitchers for years to come. Ben Badler of Baseball America calls Chisenhall one of the best pure bats in all of the minor leagues and right now the Cleveland Indians are having problems filling third base and finiding a reason not to start him out of AAA. Between Jason Donald‘s injury and the alternative being Jack Hannahan there lies the potential for Chi to start the season with the big league club. Chisenhall looks like a potential all-star and while realistically he could use a bit more seasoning and will most likely start the season in AAA, he will be up with the big league squad in no time. Britton was recently labeled by Jim Callis over at Baseball America as one of the most polished pitchers out of all the elite up-and-comers (out of Kyle Gibson, Drabek, Pineda, Britton, Jake McGee, or Manny Banuelos). Which isn’t surprising really. Drafted as a 3rd rounder in 2007 Britton’s fastball sits in the mid 90s and has one of the best sinkers in baseball already and generates tons of ground outs. This combined with a second plus-pitch in his slider gives him a great 1-2 punch. But what makes him more successful than some of his other competitors is his ability to throw his change-up for a consistent strike and have confidence in it.